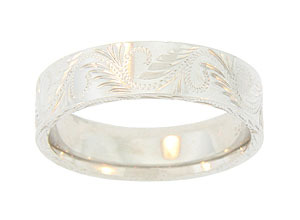 This elegant 14K white gold mens wedding band is adorned with curling jewel engraved ferns and leaves. 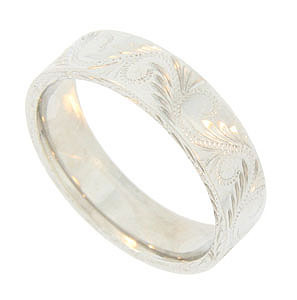 The deeply angled engraving adds brilliance to this handsome antique style wedding ring. The ring measures 6.06 mm in width. Size 11. 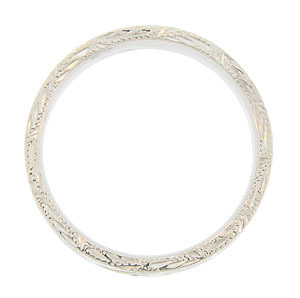 The band is also available in 2.63 mm width. We can re-size slightly.